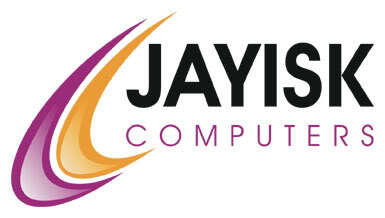 If you have used JAYISK Computers and would like to tell others about your experience, please email them to in info@jayisk.com.au - Copy and paste this email address into your email program e.g Outlook, Thunderbird etc..
We would like to thank Jason, the computer we got from him is great, runs well, looks good, and saved us a lot of money! As a young family, we are a bit weary as to who we let in our home, pleased to say Jason is friendly and we felt comfortable as he chatted and installed our computer, he explains things in an understandable lingo, we got a good running system for a great price. We would recommend him to anyone looking for a honest friendly and reliable computer guy! I would just like to thank you for the delivery of my new computer today. It's working well and i'm more then pleased with it and your very professional service. I can highly reccomend Jason's services for anyone who wants a honest and efficient computer services. I called Jason a few times to fix my computer problems at home and every time I received a professional service and advice. We�d like to thank you for your friendly, professional & prompt repair of our laptop. We would like to highly recommend you to anyone out there who is looking for someone to repair their computer or to do any installations as we were really impressed with the service you offer of coming to our home & not having a call out fee. Most other places we called they wanted to charge us insane amounts of money just to look at our laptop before even determining the problem, let alone the prices they charge to carry out any repairs. Your price for the repairs to our laptop we found to be fair, you were honest and did not overcharge us, which impressed us the most. We can not recommend you enough to our friends & social circle and everyone else out there. I met Jason by chance when I was looking for someone to repair my home computer. Jason stood out from the rest because he showed more concern in what i needed as opposed to what he could charge me. I have since purchased two more computers from him as well as received invaluable support. He is a breath of fresh air in a world full of people wanting a fast buck. I could not recommend him highly enough for his professionalism and service. Jason has been a tremendous help for me and my family. He has upgraded my sons computer. I have also purchased a reliable tower for my daughter and a laptop for myself, I even recommended his services to my parents! Not only are his products excellent, his service and patience are of high standard. I would recommend Jason to anyone that has even the smallest query or problem with their computer. He even got our PS3 to work online!! Excellent product and service. Jason was very flexible with the type of delivery ( I decided to pick-up) but the option of delivery was available. Professional approach and always contactable. After sales service is second to none. I was so impressed with his service that I recommended him to a family friend and they have purchased a complete system of him as well. I will definitely use Jason in the future and thoroughly recommend his products and service. Thank you Jason. Jason came to our home and helped us with our computer problems. He was very friendly and knowledgeable. He was very patient and did not hesitate to answer our numerous questions. His service is great and I would thoroughly recommend him to anyone who needs help with their computer. We were very grateful that he was willing to pick up and deliver. I certainly will call him again if I need help. Thanks Jason!